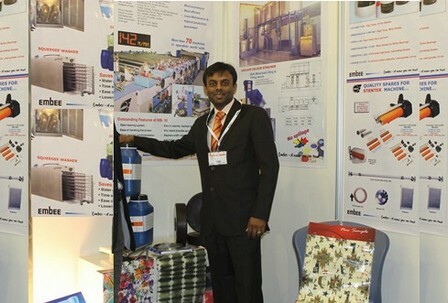 ITM Texpo Eurasia 2012, the International Textile Machinery Exhibition, was held from April 21 to 24 in Istanbul, Turkey. According to the organizers, some 1,132 exhibitors from 33 countries booked 85,000 square meters of fairground space in nine well-organized halls. ITM Texpo Eurasia event has enjoyed continuing growth since its start in 2004. 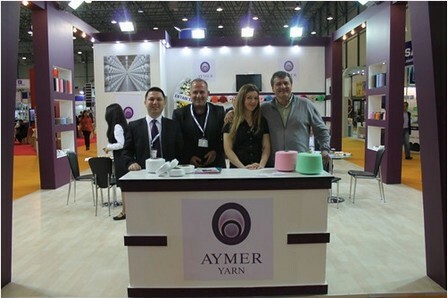 HIGHTEX 2012 Exhibition and Istanbul Yarn Exhibition were also held simultaneously with ITM Texpo Eurasia 2012. 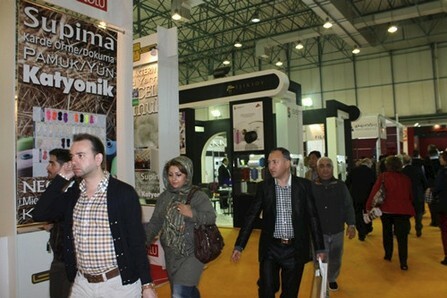 Hightex is the largest technical textiles and nonwovens meeting in Middle East and East Europe. 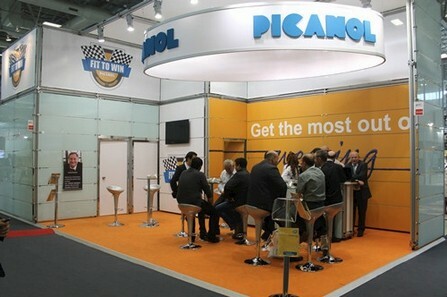 These exhibitions receive great interest from the industry and manufacturer companies worldwide. Since the beginning of this year, Turkey’s export figures have been soaring to new heights every month. The export figures of the first quarter of 2012 show a total of US$12.6 billion, and the first four months netted US$16 billion. Experts estimate the share of the textile industry within these first-quarter export figures total some US$4 billion to US$5 billion, underlining the importance of the textile industry for the national gross domestic product (GDP). Many exhibitors mentioned that the ITM standard has improved considerably, up to the European standard. But the big European weaving machinery manufacturers didn’t show up perhaps due to the fact that Turkey is predominantly a knitting country. Exhibitors confirmed that the Chinese market is still the most important one, but Turkey has become the second-most important market in the last eight to 10 months, even ahead of India. And the reasons are evident: the stimulus program from the Turkish government on one side and the internal problems of India on the other side. In the recent years in Turkey many important investments have been realized especially in the field of technical textiles and nonwovens. Turkish companies, which became important semi product and finished product exporters in the whole world, already took part at HIGHTEX 2012. 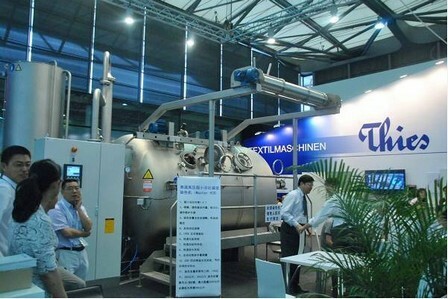 Nonwovens, fiber processing methods latest technologies, line systems and weaving machines dedicated for the complex production of technical textiles, supplementary equipments, technology, raw materials and end products were displayed at HIGHTEX 2012 Exhibition. In Turkey, being one of the most important centers of world textile industry, technical textiles market started to develop in the recent years thanks to the development of high value added products. The producer companies, which started their activities with simple products in 1970s, now export tones of technical textile raw material or end products to the world. Especially Meltblown, Spunbond, Spunlace, Thermobond, Waterlaid technologies are preferred in Turkey. Technical textile producer companies produce raw material or intermediate products used by all the sectors, mainly construction, readymade clothing, geotextiles, home textiles, cleaning/cosmetics/hygiene, automotive, packaging, food industries. Since the producer companies operating in Turkish market have just discovered technical textiles market, they define themselves as a part of the sector they serve. Being pleased with the global demands for their products, the producers continuously make technological investments in order to renew their technologies and increase their capacities. Also new countries start to operate in the sector. Aiming to start smart textile production as well, Turkish producers receive attention with the R&D and P&D investments they have increased recently. Especially, most of the end product manufacturing companies receive intense interest from the whole world for their products marketed with their own brands. On the other hand, several companies both have production for world widely known companies or supply semi-products to them. Within the scope of these developments, many international companies started to move their production plants to Turkey or started to establish partnerships with Turkish companies. There are hundreds of Turkish companies operation in the field of technical textiles and nonwoven production in Turkey. Erler Makine representing several world widely known technology producers mainly of whom are important trademarks operating in the spinning industry like Trützschler and Oerlikon Schlafhorst participated at ITM Texpo Eurasia 2012 Exhibition with all the companies it represents. Erler Makine ve Mumessillik being one of Turkey’s first established agency companies took its place at ITM Texpo Eurasia 2012 Exhibition with all the companies it represents. 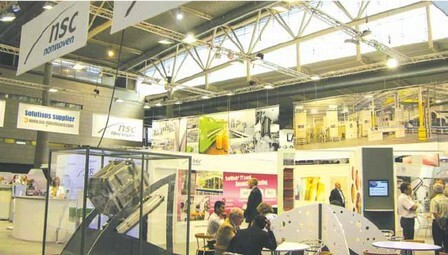 They exhibited on their booth in hall 2 together with companies in Spinning and related industries. In addition Trützschler also was present on Erler booth. Companies within Oerlikon Group and Schlafhorst represented by Erler were on their own group booth. On the other hand, Thies and Setex companies, which are also represented by Erler, displayed their technologies on their booth located in Hall 3 dedicated for Dyeing-Printing-Finishing. Turgut Karabulut pointed out that ITM Exhibitions are the best textile machinery exhibitions in Turkey and the region and that’s why they participate all ITMs and added that Turkey is a very important market for global textile machinery manufacturers. Turgut Karabulut indicated that there are crucial investments in the yarn industry in Turkey: “The yarn technology manufacturer companies represented by us rank in the top 5 of the Turkish markets. Turkey is a very important market for them and they are aware of this fact. The companies represented by us want to participate ITM exhibitions and introduce their latest technologies for sure. 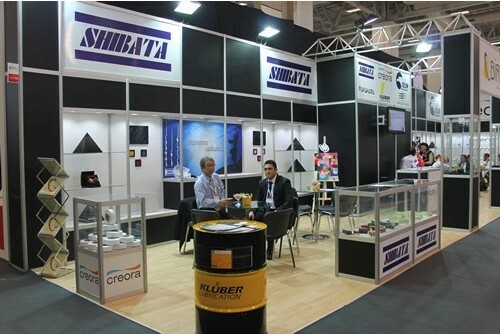 Thus, ITM exhibitions are of great importance for us” said Mr.Karabulut. TRUTZSCHLER : Provides a wide spectrum of products including yarn preparation group, draw frames, cards, blow rooms. OERLIKON SCHLAFHORST: The world’s market leader in Open-end yarn machinery industry with over 6 million spindles, the world fastest and longest roving frames, yarn spinning machines, compact spinning machines, the world’s market leader in automatic bobbin machineries with Autoconer. THIES: The name of innovation and technological development in textile dyeing and finishing machineries for over a century. SETEX: An advanced technology company providing service all around the world and producing software solutions and computer based control systems for the textile industry. TEXCOLOUR: Design and manufacture of automatic rotating drum dye extractors for batch dyeing of textile fabrics. RIMTEX: With X-Axis rings and other 4 different products (cans, rings, aluminium trolleys) providing more production, better quality and longer service life offers the best options in terms of economy and quality to textile mills. DREI-S-WERK: Provides pinning systems for screw driven gill boxes, punches for cutting and punching tools, ejector pins and sleeves, core pins for injection moulds, pressure moulds and die-casting moulds, measuring pins for quality measuring and manufacturing and a wide variety of other precision, ground and moulded parts. SONOCO PLASTICS: Manufacturer of plastic rollers for ring and cord and dyeing bobbins. TOMSIC: Manufacturer of high technology laboratory equipments for the textile industry. SALCE: Manufacturer of laboratory equipments for dye houses. GEIDNER: Manufacturer of stainless steel accessories for dyeing machines. iMaster H2O : A completely new design of rope dyeing machine for the processing of knit and woven goods. 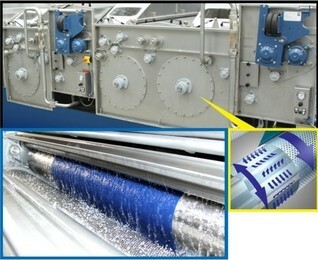 By installing the transport winch inside the kier, cotton, synthetic fibres and their blends, including articles with a high elastane content are processed with significantly reduced elongation, resulting in fabrics of improved stability and surface appearance while offering increased flexibility in the processing of a wide range of products. An additional focus was on the significant reduction of water consumption and with it a decrease in the consumption of chemicals, dye stuff and energy. In practise it is possible using conventional techniques, without the need for air technology, to work comfortably with a liquor ratio of 1:4. Complex rinsing systems combined with intelligent functions for the pre and post treatment of the fabric helping to further reduce the total water and energy consumption. miniMaster : Complementing the iMaster H2O and its ultra-low liquor ratio, this is a new laboratory/small scale production machine. Designed to provide a link between the laboratory bench and production, at the same time improving the level of right first time dyeing’s. mini-bloc: The wellknown eco bloc uattro is now complemented by the mini-bloc, which focuses on the production of yarn in quantities as small as 50 grms. AAP-Advanced After-treatment Process: Thies are continuously working on new technologies aimed at reducing plant and CO2 emission from discontinuous dye houses. A new mile stone has now been reached with the AAP system. Designed to treat rinsing liquor in a separate reactor vessel, by using active Oxygen to destroy the molecular structure of the dye stuff and remove the colour. 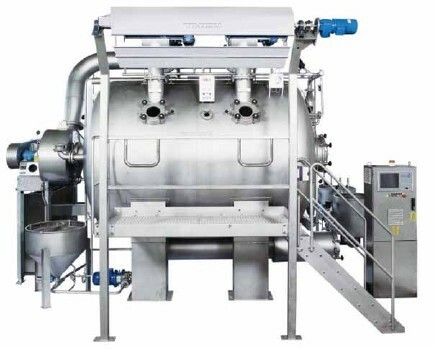 The system is operated during the rinsing and post treatment stages of the dyeing process. By carrying out the process in the dyeing machine, the cycle time and the amount of effluent are dramatically reduced. hankMaster : Flexible loading, reduced water and lower energy consumption are the hallmarks of the Thies hankMaster. Designed for the dyeing of speciality and high end yarns in hank form, the system provides optimal treatment combined with ease of handling. Thies’ new models iMaster H2O, miniMaster, mini-bloc, AAP- Advanced After-treatment Process and hankMaster, which are introduced to the market with the slogan “Go Green with Thies, were introduced to the Turkish market at the ITM Texpo Eurasia 2012 Exhibition. 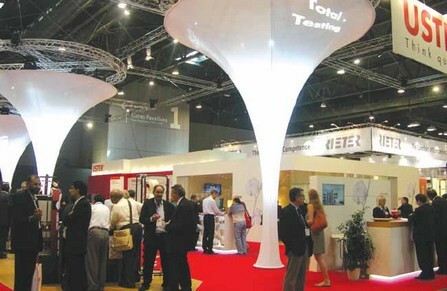 Uster Technology Ltd., exhibited a full spectrum of devices used in cotton classification, yarn testing and monitoring at the ITM Texpo Eurasia 2012 with its new models and latest technologies. To be successful in today’s challenging textile business environment, companies can no longer rely on just a few basic skills. To achieve growth and sustainable results, they must excel in all areas of their operation. In an era of higher speeds and increasing demands on quality, it is an illusion to try to control the complete production process by relying only on manual sampling. 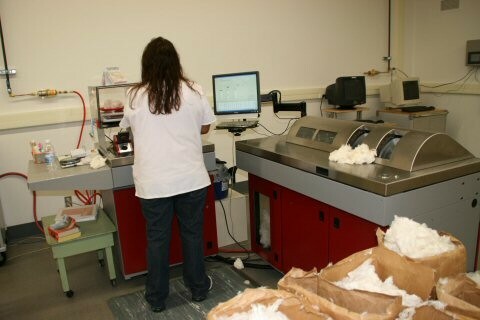 while at the same time benchmarking and certifying the quality of their finished yarn. With the new USTER® QUANTUM 3 yarn clearer, 100% of the produced yarn can be tested for key quality parameters. On the one hand, this identifies production problems for further machine setting optimization, while on the other hand it prevents faults in the final product by removing any remaining disturbing defects. In addition it allows for constant monitoring of production to ensure that the final product is of consistent quality within defined limits – any ‘outliers’ from these limits caused by defective bobbins are identified and corrective action can be taken. The root causes of problems identified during clearing (process step/machine/individual spindle) can only be found through additional laboratory tests. Hence the Total Testing loop is completed. USTER® QUANTUM 3 is the third generation of the best-selling online quality assurance system for winding machines. These state-of-the-art yarn clearers use Smart Clearing Technology to optimize production efficiency and reduce costs for spinners. Another feature of Total Testing is the ability to progress from varying and random quality to consistent quality. The required quality can occasionally be achieved through a combination of experience and luck, but such an approach never leads to consistent success. Natural cotton variations and differing production conditions mean that even the best raw material and machinery are not a guarantee of consistent quality. Consistent quality depends on managing available resources in accordance with quality and cost parameters and making decisions based on facts, data and know-how. Without quality testing, this is like driving with your eyes closed…you will end up somewhere, but probably not where you wanted to go! Achieving consistent quality is fundamental to a producer’s good reputation. Uster Technologies Ltd. is the only company to provide both the application know-how and the complete range of laboratory testing and process monitoring instruments to minimize waste and cost, while at the same time reproducing an article to a specified quality time after time. Quality parameters based on tests conducted in the lab, together with the results from clearing (USTER® QUANTUM 3) give clear indications on how to choose the right mix of raw material and set the machine correctly for consistent quality. Any quality exceptions – such as uneven yarn or wrong counts or contaminants – are monitored 24 hours a day and removed at the winding machine, assuring stable quality for customers. Built-in know-how and smart software (e.g. USTER® QUANTUM EXPERT 3) enable further optimization opportunities across machines (ideal settings/machine performance comparisons), between production sites and incrementally over time for an entire mill. Among the biggest and most costly problems in textiles are claims for below-par quality – and the adverse effect they have on trust between buyers and sellers. Indications show that quality-related costs in the textile value chain can amount to as much as 6% of a retailer’s total revenue (based on retailer statements). The issue is two-faceted: the actual quality and the perceived quality. And unless a common reference or benchmark is used, agreement will never be achieved and the producer will always get the rough end of the stick. More than 50 years ago Uster Technologies Ltd. established the first quality standard specifically for textiles, USTER® STATISTICS, providing quality references enabling the classification of fibers, slivers, roving, and all kinds of yarns (cotton, synthetic and cellulosic) based on data from producers around the world. USTER® STATISTICS have become the trusted benchmarks across the entire textile value chain, acting as a basis for trading, for benchmarking and certification. In the cotton trade, quality tags from USTER® HVI 1000 are essential for a fair price and good deal and they are supported by national cotton classification offices, for example, in the U.S.A, China, Uzbekistan and Pakistan. Spinners use USTER® STATISTICS to set quality targets, to benchmark performance against competition and to certify the quality of finished articles. USTER® STATISTICS enables users to speak ‘the global language of quality’ – not requiring translation and easily understood by all. USTER® STATISTICS are acknowledged throughout textiles worldwide as the essential tool for quality benchmarking. They set out the vital quality parameters for the entire production chain – from raw fiber to sliver, roving and yarn. USTER® STATISTICS cover every stage of preparation and spinning for cotton, as well as other cellulosics, polyester, polyamide, polyacrylic and blends. All the main spinning systems are included – carded and combed ring, carded open-end and air-jet methods. For spinners, USTER® STATISTICS are the only way to compare their products and processes against authoritative global standards. USTER® STATISTICS are quality reference figures which classify fibers, slivers, rovings and yarns according to current worldwide quality levels. USTER® STATISTICS are widely used as basis for yarn contracts and product specifications in buying and selling. Leading textile machinery and accessory manufacturers depend on USTER® STATISTICS to evaluate the quality impact of new developments in machine technology, monitoring or control systems. Quality does not come from mastery of the final step of the value chain, such as garment manufacture or finishing. It starts at the very beginning – with the raw material and producing the right quality yarn. Cotton growers, ginners and traders rely on fiber testing instruments (e.g. 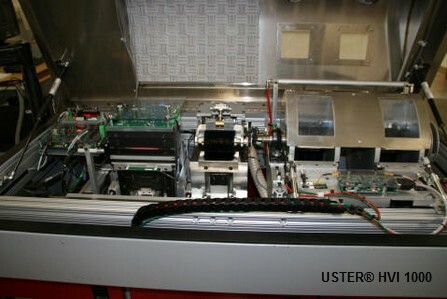 USTER® INTELLIGIN and USTER® HVI 1000) to achieve fair prices. Only by knowing and controlling what comes into the mill can the mill manager do justice to the job of delivering the expected quality his customers have specified. Of course, sourcing raw material is also driven by price and availability considerations but once the material has arrived the USTER® HVI 1000 helps to make the best use of it by designing the optimum bale laydown (to deliver the expected quality consistently). USTERIZED® mills benefit from USTER’s unique Total Testing approach to combine laboratory testing, process monitoring and know-how and to move from uncertain results to predictable profits. Elitez Tekstil being the Turkish agency of several world widely known trademarks participated at ITM Texpo Eurasia 2012 Exhibition with the latest Technologies of the companies it represents. Elitez Tekstil Makine San. ve Tic. 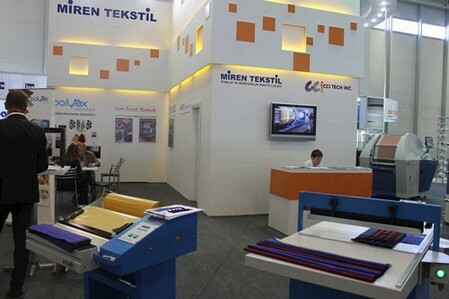 A.S., the representative of European worldwide known brands operating in the field of textile finishing industry was present at ITM Texpo Eurasia 2012 Exhibition. 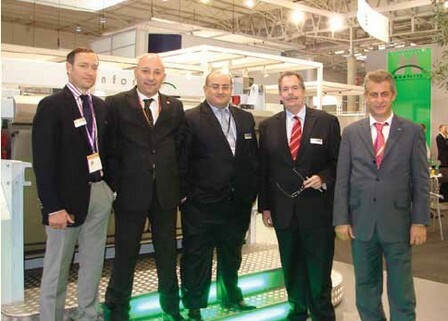 (L-R) : Alp Elitez, General Manager of Elitez Tekstil; Necip Guney, Sales and Marketing Director of Teknik Ltd.; Cüneyt Isman, Company Partner of Elitez Tekstil; Klaus A. Heinrichs, Vice President Marketing, Product Manager Service Components of A. Monforts Textilmaschinen Gmbh; and Umit Vural, Technical Operations Director of Teknik Ltd.
Monforts/ Germany : Stenter and tieless drying, sanfor, continuous dyeing and thermosol facilities. Andritz Kusters/Germany : Calenders, expression rollers and S-Roll for textile, nonwoven and paper industry. Dhall Group/India : Wet finishing lines. Wumag/Germany : Roller drying machines, cylinders and refrigeration rollers. 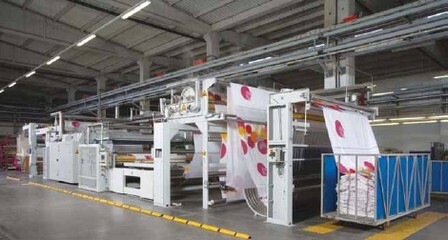 Menzel/Germany: Complete wet finishing machines and S-Roll padding machines/Pad-Batch dyeing machines. Jupiter/ India : sizing warp, direct warp, sizing and direct warping machines. Krantz KTM/Turkey : HT jet, beam and bobbin dyeing machines. Dohle/Germany : Roll top wet and dry industry sewing machines. 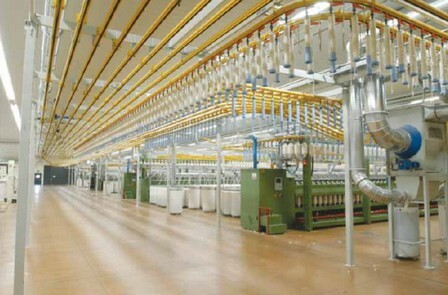 Rabatex/India : Cotton yarn machines, digital technology conic warp machines. ETF/Netherlands : Automatic cutting, batching off and packaging facilities for all kinds of carpets. Brückner : Cloth flipping machines (Stenters), cloth drying machines, sanfor machines, technical textile plants (coating, lamination lines; nonwoven band drying machines), heat recovery plants, exhaust air cleaning systems. Erhardt+Leimer : Weft straighteners, tube cloth cutting/ rope scutching machines, cloth thread and cutting systems. Fong’s : Cloth dyeing machines, cone dyeing drying machines. Stork Prints : Rotary and digital printing systems. GSE Dispensing : Paint kitchen for printing paste. Hocks : Rubber belts (for sanfor and super-finish), sanfor felt, fulling clothes, etc. Osthoff-Senge : Singeing (gaze) machines. opportunity for the technical staff who was not able to go to that fair. Principally, if there are innovations and distinctions you can show, it is a must to do that presentation on the machines. The significance of ITM fair for us is that it is a close region arena not only for the concerned in Turkey but also for the investors from neighbouring countries particularly for the ones that could not have attended the fair in Europe. When you look from a general perspective, textile machinery exhibitions are organized in a different country every month in the world. Although the participation to these fair causes serious costs; manufacturing companies try to wave their flags in most of them with appropriate decisions according to their marketing strategies. Being held every four years in European countries, ITMA Exhibition is a real show ring for textile machinery manufacturers. For the other fairs except that, they make a decision of participation in consideration to importance of the fair for their market share and the contributions of the fair to be brought by the fair to their side. ITM fairs is a fair which have that much importance for our companies and their largescale participation results from the dynamism of textile sector in Turkey and its powerful potential. We particularly want and support our manufacturing companies to bring machines to ITM fairs. Therefore, we want ITM fairs to become a central regional fair. Turkey is a central country in the geography it positioned. In terms of textile, we are a dominant country over the region. When we consider the neighbour-hoods, there is mobility in the textile investments in Turkmenistan, Uzbekistan, Azerbaijan of the Middle East countries, when you go down, Iran, Syria, Egypt, Ethiopia, Tanzania regions. In Morocco, there is a tendency to improve. 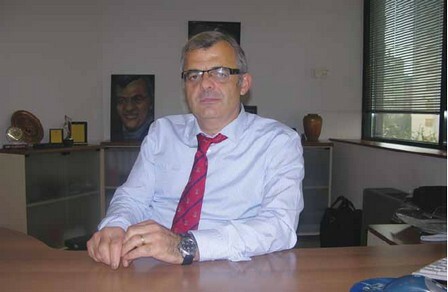 In Tunisia, especially Italian investments exist. We are pioneers among all of these countries in terms of knowledge in the field of textile technology and trained staff. Without the contributions of our technical personnel to these regions, without Turkish technicians particularly in the factories in Middle East, it seems very hard to operate textile plants. We will resort ourselves to increase our cooperation and commercial relationships thanks to these fairs in terms of both our vast knowledge and trained personnel and we continue to act in that way. In recent years, especially since 2000, textile sector in Turkey has been in a process that it continuously changes its shell. We have entered a distinctive period which has started in the last 2 years and will accelerate in 2012. In Europe, the biggest market of our products, the fast fashion method has been developed as a new selling technique. In certain selling spaces in European countries, products and presentations are changed nearly every month. In the previous years, the presentations being made as a season change has lost its importance day by day. By this method, consumer is led to buy the product that he/she admires even if he/she does not need it and a new potential for selling has been created. Here is new style, the fast fashion, offering charming and brand new things to people, makes them buy without needing it. This movement brings us a new restructuring in Turkey since we can provide the goods very fast, we are capable of rendering the best service to European brands in this issue. This is one of the most important factors which is both the chance and require changing the structure. Turkish textile suppliers are obliged to organize into flexible and fast but at the same time high quality manufacturing. The fundamental essence must be a wide ranging and high quality production in low quantities and production in a very short time, manufacturing for reasonable price, not manufacturing in large quantities. It is not very easy to gather all this parameters together. This is a quite hard work all over the world, yet textile suppliers in Turkey manage it, do it and must do it. The organizations, configuration and investments also differ according to that. Another key element triggering this is the decrease of profit margin in the sector. In a process in which there is no risk of high inflation and has a long sight for the next following a few years, reimbursement periods of the investments have been lengthened. This leads the must to be selective in investments and make true and better estimated investments. Considering that we are sufficient enough in education, training, knowledge and staff, the subject we have to work on is efficiency. Our enterprises have to focus on efficiency from A to Z. The most vital secret of increasing the profitability is to follow production efficiency closely and multiply it. Not only in factories but also in every phase of our life, quality control has a great importance. Quality control has been performed in a very cautious way in many big companies for many years, and it is tried to be inspected by establishing separate quality control departments. The issue which I want to draw attention is the requirement for providing integrity in quality. Integrity in quality means that you perform quality control with final merchandise in the current situation. This only provides to send your delivery to customers with appropriate characteristics and saves the name of your company. You will send bad goods but on the other hand, corrupted goods which give error in the production and are put aside are accumulated inside and you will have to sell these with a low price. Whereas when you perform quality control on each stage of production, and workers, skilled labourers, engineers working on every phase of production are responsible for the quality of the work they perform, the problem will be prevented before it happens. Therefore, there will be nothing for you to check at final quality control point. At the same time, you can prevent improper costs beforehand. Furthermore, your quality and the system inside the company will become proper and the quality will increase on the production stage. We have to purchase proper machines as much as possible in investments. This proper machinery concept is not only the price of the machines but also it is the long working periods of machines without errors and problems. If it is taken into consideration that the reimbursement period of the investments prolonged for four or five years, the machines should work without errors and problems for at least 10 years period. In a consequence, except focusing on the first investment cost in the purchase of machinery, the total expenditures and its contribution to enterprise ought to be calculated in such a long period. In a study about Stenters which is done by Brückner Company, it was seen that the money invested on machinery for a 10 years period is 15% of the total money spent. During 10 years, while the expenses like gas energy, electrical energy, labour, maintenance, spare parts spent on the machine is 85% of total, the first investment cost of the machinery is only equal to 15% of the total expenditure. This features the improvements oriented to the consumption savings in machinery. We have to focus on not how cheap is a machine, but on how low consumption it can make. 10 percent decrease in consumptions every year will offer you considerable savings and the money paid for the machine will be regained only by savings. The concept of the GOLLER SINTENSA is a success for years all over the world thanks to its constant optimisations. The latest model is now called SINTENSA PLUS. The key component is the liquor under perforated drum. Inside a specially designed rotor with a surface is running, Which creates a controlled cross flow through the fabric. Through this mechanically created turbulence, the washing effect becomes independent from the fabric and the fabric construction speed. A special adjustable spraying system Which is even and constantly spraying on the left and then to the right fabric side is arranged to increase the washing effect to the maximum. This point of view is valid for all kinds of machines, not only for Stenters. Especially for dyeing machines, the machines which use the lowest water quantity should be aimed. Beyond the earning brought to us, it is an obligation of our duty to our environment of which the water resources are diminishing day by day. For instance, the air-powered new Synergy model machine of Then Company that we are their commercial representative is one of the best machines in this area. The flotte proportion in this machine is 1:4, and you cannot do dyeing cotton fabric under 1:5,5 with a water operated machine. But you can manage it with Then Airflow since the fabric routed by air in this machine and water is only used in transferring dyes and chemicals. Since limiting the water consumption and becoming an important cost factor, the most preferred cloth dyeing machine is airflow model in China and India. Although this model works in large quantities in Turkey, it has not taken the share it deserves particularly in knitted fabric dyeing. Because it is an extraordinary technique for the technical staff and it is seen at high price by the investors (compared to conventional machines). The savings in the long usage periods mentioned above are taken into consideration, it is certain that this model will be the most correct choice. In cone dyeing machine of Fong’s, dyeing is performed with 1:4-1:5; this machine has the most advanced technology in the world. Having regard to the most economical machines in the market can dye with 1:8 proportion, the importance of our Allwin model machine and its chemical gain related to that will be understood better. The ones who find machines expensive should consider that in order to have lower consumption and production costs, correct machine should be purchased. The calculation you have to do is the costs of meters and kilograms. How much does it cost to produce one meter of cloth and one kilogram of cones and can I produce it at a cheaper price? Another substantial factor which should be taken into consideration in the enterprises is how often the production is cut by malfunctions. The evaluation of the factory manager who studied on it detailed is interesting. In the statistics between the proper machine and the machine preferred due to low price, it was seen that in a year period, the difference between machines in terms of the cost of stops related to malfunctions was at least two times higher. Therefore, new investments have also become significant. It is crucial for the ones who will make new investments to calculate the gains for the future besides estimating how much the machine is useful and decide according to that. All the companies- especially Brückner and Fong’s group companies- we are representing have been working on environmental protection for 5 years. Awareness on environmental protection is getting stronger in Turkey and our representatives in many cities, especially in Bursa, are getting across with the demands on this subject and they, themselves, tend to invest on solutions for this subject consciously. Cleanliness of the air we throw out. In all cities of Turkey, mainly in Bursa and Istanbul, firstly, an industrial zone is allocated and the factories are built, then, a settlement is formed around this zone. In this case, it is star ting to become vital that the exhausts, toxic air and the waste thrown out are to be suitable for living in this surrounding. The systems for solutions that the Brückner Company has been using in European countries for years, are gaining more importance in Turkey now and our clients are making many contributions on this subject. Stork Prints being one of the leading digital ink producers in the industry and also building and selling printing machines and RIP software demonstrated the complete digital ink portfolio and showcased live demonstrations of the brand new digital textile printer Sphene at ITM Texpo Eurasia 2012. Stork Prints is one of the scarce digital ink producers in the industry, who also builds and sells printing machines and RIP software. Besides the complete digital ink portfolio, visitors could witness live demonstrations of the brand new digital textile printer Sphene. Stork Prints’ Sphene is said to be the future for digital textile printing with print speeds up to an amazing amount of 555 m²/hr. The Sphene makes it amazingly easy – and cost-effective – to carry out top-class digital textile printing. Its industrial fabric feeding system allows virtually any fabric imaginable to be used, at widths of up to 1.85 meters. There were also plenty of printing samples of Stork Prints’ new NEBULA reactive ink set for Kyocera print heads. With the new special Deep Black ink, you get a profoundly intense and dark black that really has to be seen to be believed. Stork Prints also presented its complete range of FLARE inks that run on all printers using Epson print heads. Underlining the fact that the unrivalled Stork Prints inks are not just suited for the new printer Sphene, but can also run on the Reggiani Renoir, MS JP and MS JPK-series printers. One of the main attractions was the Pegasus EVO, the successor to the popular and well-established Pegasus CC. The EVO manages to combine excellent print quality with exceptional efficiency and flexibility in operation. Any textile printing machine will be judged by the quality of the end result. The EVO distinguishes itself in several ways. Its sophisticated and flexible squeegee system gives brilliant colours in the widest range of applications for halftones, fine lines and blotches. It also offers the most advanced control system, and as a result the highest registration in the market. This high quality is complemented by extraordinary efficiency. Through a combination of a unique paste recovery technology, the use of a blade squeegee, a superior drying process and an intelligent waste water recycling system, the EVO can save in excess of Euros 80,000, every year, in running costs. Combined with the excellent machine quality and therefore low maintenance costs, the EVO offers the lowest “Total Costs of Ownership” available. Yet it still manages to offer the flexibility today’s textile printers are looking for. It incorporates a closed bearing system that can be fitted with either blade or roller squeegees – both squeegee types can even be combined in one single position. The roller squeegee is equipped with their patented, energy efficient and maintenance free “permanent magnet system”, to further reduce energy costs and downtime. Also, the EVO can be equipped with integrated coating & finishing technology to enable production of many different types of coated fabrics, to add more value to production. But, it is also possible to upgrade existing printing machines, like for example Stork RD4s, with EVO printing positions. In this way, the newest technology is available for a limited investment and minimized downtime. The installation of this upgrade is seamlessly and will definitely boost the quality, efficiency and image of customers’ factory. 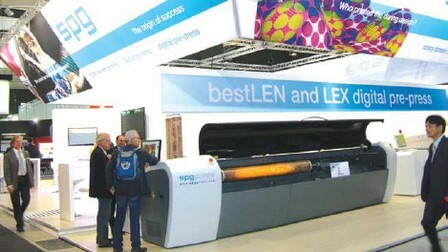 Visitors to the Stork stand were able to see much more in the way of printing innovation, including the unique NovaScreen® rotary screens. These screens have a patented design which combines a high mesh count with minimum spacing between wider and ingeniously conical holes, so the maximum amount of paste is transferred to the substrate. This leads to higher print quality and also increases productivity and efficiency, because it becomes possible to print at higher speeds while using less paste. Specialists were also on hand to demonstrate and explain about numerous examples of superior textiles and coated products – all made using Stork screens and equipment. 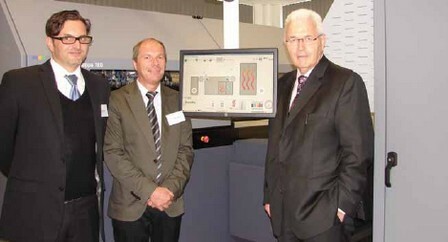 The high-performance inkjet printer Kappa 180 – developed by Durst AG – was exhibited at the ITM Texpo Eurasia 2012. Kappa 180 achieves a printing speed of more than 600 m2/hour (over 300 running meters) with outstanding printing quality (1056 x 600 dpi), thus enabling the on-demand production of between one and many thousands of running meters. The high-performance inkjet printer developed by Durst AG achieves a printing speed of more than 600 m2/hour (over 300 running meters) with outstanding printing quality (1056 x 600 dpi), thus enabling the on-demand production of between one and many thousands of running meters. From the print heads to the ink, the Kappa 180 has been developed by Durst itself with the aim of ensuring optimal image quality and dependability. Together with RIP specialist Caldera, Durst has developed the workflow software for Kappa 180 further in order to speed up printing orders from the design stage to the final print while providing full cost transparency.The Kappa 180 inkjet technology opens the door to completely new creations, since there are no limits as far as design or colors are concerned. Unlike conventional printing methods, there are no pre-printing processes – printing orders and changeovers are processed directly via the workflow software, setup times and screen-making are things of the past, and the system is ready for printing within a few hours. 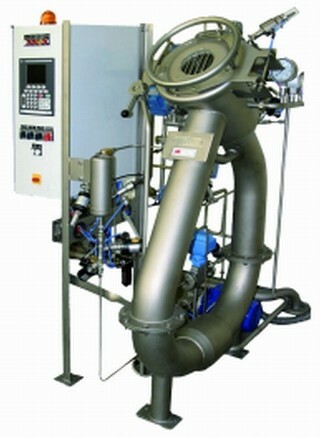 Water consumption during the production process is reduced by up to 90 percent and only a fraction of the chemicals normally used are required. In addition to these environmentally friendly and cost-effective benefits, printing orders remain reproducible at all times. 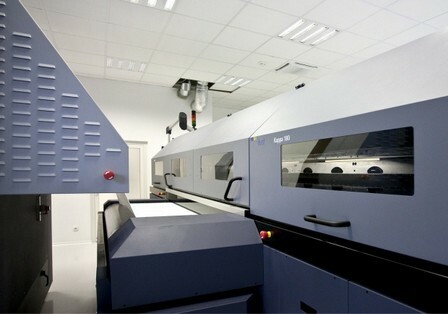 Durst’s proprietary Quadro printhead technology was developed further for the Kappa 180, so that the specific requirements of the textile sector could be fulfilled with “QuadroZ”. The modified Durst QuadroZ Array system makes it possible to print on textiles with water-based inks by way of a specially hardened, fray-resistant nozzle plate with a drop size of 7-21 pi-coliters. 6,144 jets per color produce a resolution of up to 1,680 dpi, while a single automatic nozzle cleaning system ensures uninterrupted operation. With throughput speeds of more than 600sq m/hr, Durst’s new Kappa 180 high-performance textile printing solution demonstrates the Austrian manufacturer’s move into industrial markets. This system is based on the company’s proprietary QuadroZ print-head technology and uses water-based inks specifically developed for piezo ink-jet multi-pass technology. Although this machine can also be used with disperse and acid inks, Durst estimates the greatest initial interest coming from the reactive ink sector for use on cottons and mixes. This automated unit has a maximum printing width of 1.95m with a specially developed sticky blanket and laser alignment which complements the unit’s automatic in-feed and guide for precision results, with an integrated washing system and hot air drying unit. The Kappa 180 is an eight-colour machine, with CMYK complemented by orange, red, blue and grey. The inks benefit from the machine’s osmosis filtering system to eliminate tiny gas bubbles for failure-free results. 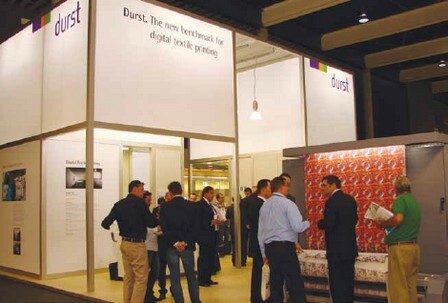 The newly launch Durst system is expected to offer a practical alternative to flat-bed screen-printing. Remarkably, for a machine of this industrial standard, it has a price point of around Euros 500,000 (£440,000). The QuadroZ Arrays print eight colors in CMYK, orange, red, blue and gray with no modulations or density fluctuations. A key role is played here by the ink delivery system with the osmosis filtering system, which eliminates the tiny gas bubbles in the inks and ensures that the printing is steady and failure-free. Inks : For textile printing applications, Durst has developed its own high-performance inks (Kappa Inks) for the piezo inkjet multipass technology. These are used for printing with absolutely environmentally friendly, water-based dispersion, reactive and acid inks on the different textile fibers by way of the QuadroZ Arrays. The characteristics of Kappa Inks are deep black, outstanding luminosity and excellent stability. Kappa Ink D (Dispersion Ink System) for synthetic fibers, polyester and polyester mixtures with more than 50% polyester. Kappa Ink A (Acid Ink System) for silk and silk mixtures. Workflow : Besides the printing machine itself, the RIP is the most important and also the most error-prone component in the printing process. For this reason, Durst – together with specialist Caldera – has developed GrandRIP+ software for digital textile printing, tailoring it to match the Kappa 180. The speedy, reliable and high-performing workflow solution encompasses all the functions required for the creation and management of printing orders. These include such features as tiling, embedded color profiles and ICC-compliant output, Photoshop plug-ins, coloring and color coordination of textile print data, a dashboard with a preview function and rapid access to printing orders, multitasking control for distributed printing machines and enhanced ink management. The digital printing data can be collated and configured individually by means of the layout & compose function. To this end, GrandRIP+ supports the standard image formats EPS, PS, PDF, JPG, Photoshop and TIF. Transparency: The Kappa 180 Costview software ensures precise calculation of the production costs and environmental factors for each printing order. All relevant parameters, including ink, material, power and other factors, are analyzed via a dashboard, while at the same time the CO2 emissions are calculated for each production stage. Costview has a web interface, which means that all analyses can be interchanged with other departments at any point in time. Support : With Durst Advanced Remote Diagnostics (DARD™), the Kappa 180 has an innovative remote maintenance and alert system which monitors all relevant parameters, including printheads, humidity, temperature, voltage, etc., in order to maintain an even production process and prevent unscheduled machine downtimes. Feeding-in : Being a top-quality textile printing machine, the Durst Kappa 180 has fully automatic feeding- in and guiding facilities for textiles with a maximum printing width of 195 cm and a printing blanket with an integrated washing system. The drying unit is a hot air dryer powered by gas, steam or electricity. The AVEBE Group creates and markets solutions mainly for textile, building, paper, adhesive, food and feed industry. It has factories and laboratories in Netherlands, Germany, Sweden and Turkey. The AVEBE Group creates and markets solutions mainly for textile, building, paper, adhesive, food and feed industry. Founded in 1919 in the Netherlands, AVEBE is the world’s leading producer of quality potato starch based solutions and innovative starch technology. The AVEBE Group creates and markets solutions mainly for textile, building, paper, adhesive, food and feed industry. It has factories and laboratories in Netherlands, Germany, Sweden and Turkey. Starch derivatives are being used in several textile applications like warp yarn sizing, finishing and printing. AVEBE has a variety of products in the product mix for spun and warp sizing. Whether it is needed to size coarse yarn for denim, fine yarn for shirting, a soft handle yarn of terry towel or need to weave dense quality of any type on high speed looms, AVEBE has the right sizing agent with high performance and cost effective. AVEBE supplies not only starch based sizing agents but also has Poly Vinyl Alcohol (PVA), Poly Vinyl Acrylate (PVAc), Carboxy Methyl Cellulose (CMC), softener + anti-foaming agent + anti-static agent (Glissofil) as pure or in one- shot compound blends. These products are suited for a wide variety for of fibre type like cotton, viscose, tencel, bamboo, modal, polyester and their blends etc. AVEBE textile products fit in an enviromental friendly and ecological responsible production process. They are also certified as Global Organic Textiles Standards (GOTS). The brand names of AVEBE for textiles are Kollotex, Avetex, Quicksolan, Solvitose, Solvitex & Glissofil. U.T.I.T. Wagner offered tailor made solutions which range from the automatic transfer of textile material through the different steps of spinning to the checking of the final product, from conditioning to palletizing, storing and delivery of yarn by exhibiting its latest technologies at ITM Texpo Eurasia 2012. U.T.I.T. Wagner, with its sixty year activity, was the first European company to design and built integral material handling systems in the field of staple fiber spinning. Its presence in Turkey has long been established, with the realization of several significant plants for major spinning mills: the most recent ones for Kipas A.S., Erdem A.S., Arikan A.S. and Sirikcioglu A.S..
U.T.I.T. WAGNER offers tailor made solutions which range from the automatic transfer of textile material through the different steps of spinning to the checking of the final product, from conditioning to palletizing, storing and delivery of yarn. The company has developed original solutions which allow to enhance and optimize the flow of material through the mill; this has gained U.T.I.T. a prominent position in the spinning industry. Bobbin transport system is certainly the area in spinning mill which investments in automation are more easily justified. This is due to labor saving, but also thanks to the substantial contribution that automation gives in reducing the risks of poor quality. The Roving bobbin is one of the most delicate intermediate products to handle. All need to handle the bobbin or touch the textile product. The need for intermediate storage areas where the bobbins can accidentally age, get dirty and deteriorate themselves. Installing package handling system means a considerable turning point in automating spinning mill process. Automatic collecting and packing system permits to break production rhythm and customize, according with needs, the final packed units flow. Automation directly interfaces to production line and provides package handling and packaging process fully independently. Labor rationalization and saving, Cones not manually handled , Production reliability and continuity. Staubli AG, the manufacturer of shedding machines and Schönherr, the manufacturer of carpet weaving machines introduced their new models of machines at a156 sqms booth in the Weaving Hall. Dobbies, cam motions and jacquard machines for any type of weaving machine or fabric. High-performance harnesses, as well as various special accessories for jacquard weaving complete this product line. Stäubli Weaving Preparation Systems include automatic drawing-in machines. Warp tying Machines, as well as products for optimizing material flow in the mill and harness change on the weaving machine to meet today’s ever-growing demand for quick style changes. Starlinger & Co GmbH and Georg Sahm GmbH & Co. KG showcased their latest product innovations together on their 270 sqms booth at ITM Texpo Eurasia 2012. Starlinger & Co GmbH manufactures polypropylene and polyethylene sack production plants, PE-File sack weaving machineries, PP-container weaving machineries, regenerated plants for PP-PE and polyester, lamination plants, laboratory devices, AD*STAR® block bottom valve sack, CB*STAR® Shopping bags, PP*STAR® pinch bottom sacks & SSP plants for polyester. 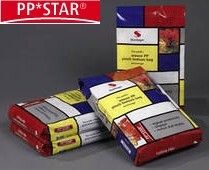 The new PP*STAR® is the 1st pinch bottom bag. It combines the advantages of pinch bottom bags and woven polypropylene. The PP*STAR® bags are made fully automatically from PP fabric on the world’s first pinch bottom bag conversion line called pp*starKON – manufactured exclusively by Starlinger, Austria. The pp*starKON uses cutting-edge technology and provides a high degree of flexibility, productivity and efficiency. The PP*STAR® pinch bottom bag is – among other applications – the ideal packaging solution for the petfood industry. The PP*STAR® provides perfect shelf display, is siftproof, strong but light, environmentally friendly, and 100% recyclable. Starlinger leads the world market in the field of machinery and process technology for woven plastic sack production. The Starlinger product range covers all types of machinery for the production of modern woven polypropylene sacks. Starlinger Group is an Austrian family-owned globally active machinery corporation. The group consists of the independent company Starlinger & Co. GmbH, and the affiliated companies Georg Sahm GmbH & Co. KG and XMesh Technology GmbH. Associated companies are SML Maschinen-gesellschaft mbH, Maplan GmbH, unistrap GmbH, and UNIMAS GmbH. 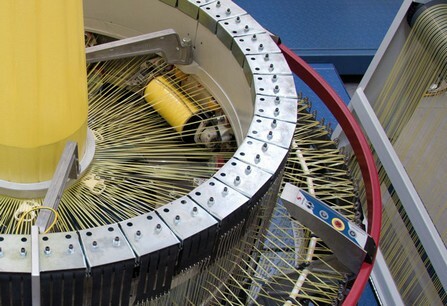 Georg Sahm GmbH & Co. KG Company is the world’s leading winding machinery manufacturer for several applications like multifilament, monofilaments, tapes, carbon fibers, aramid fibers, high performance fibers, nonwoven tapes, safety tapes etc. The company introduced Twinstar II automatic winding machine designed to wind high performance fibers, monofilaments, coated or twisted yarns or tapes so as to provide new solutions. SAHM´s new, efficient series of automatic precision cross winders. 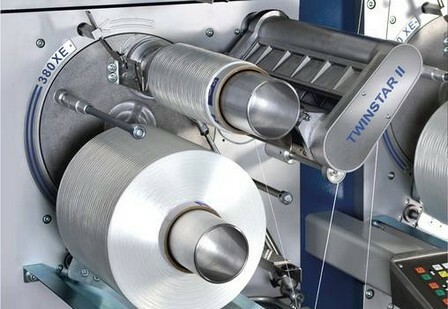 The TWINSTAR II series pictured here is combined with an automated bobbin handling and transport system. The SAHM story began more than 60 years ago. In 1945, the engineer Georg Sahm founded a small, independent tool manufacturing enterprise in Eschwege. Only 4 years later, he started the development of precision cross winders for the sewing thread industry. Since that time, entrepreneurial courage, foresight and attention to customers’ needs have been decisive in the steady growth of SAHM. SAHM’s experts develop technologies that lead the way to the future and set new standards for SAHM precision cross winders, parallel winders, rewinders and high speed winders. Easy handling, high efficiency, long-living wear parts, low maintenance are the keywords in the development of the FX 6.0 circular loom. The FX 6.0 raises the efficiency and quality standards in woven tape fabric production to a new level: High production speeds and less machine stops make it possible to achieve an efficiency of 90 % and more. With a top machine speed of 1150 picks/minute, the loom reaches a production output of up to 185 and more (depending on design) meters of tape fabric per hour. The graphical touchscreen display makes it easy to handle, and the clearly laid out machine overview allows uncomplicated parameter setting and monitoring of the individual machine parts. Today, SAHM is market leader in the field of automatic winding machines for high performance fibers. SAHM’s focus on extensive research and development activity enables them to maintain and advance their leadership in world markets. SAHM has offices in Greenville, SC, USA, Guangzhou, China and New Delhi, India as well as a global network of outstanding sales agencies in international market places in all continents which enables them to provice reliable support. High-efficiency belts developed by Forbo Siegling and enhancing product quality and extending service life were showcased at ITM Texpo Eurasia 2012. 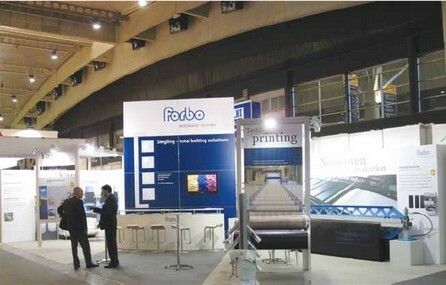 Forbo Movement Systems showcased its latest product developments at ITM in Istanbul, Turkey. 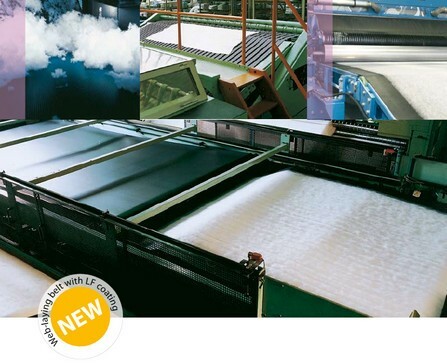 Its new printing blankets ensure top printing quality and enhanced web-laying belts optimise the way the product lies. New power transmission belts set standards, offering energy-efficiency and longer product lives. The Hanover based belting specialist presented its latest product innovations. 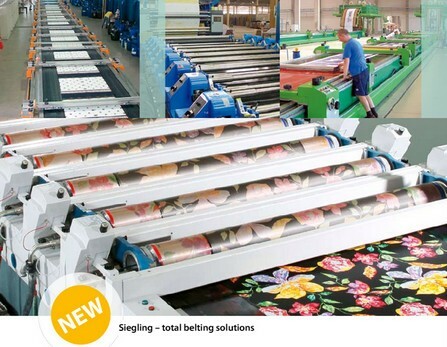 As the worldwide leading manufacturer of conveyor and processing belts made of modern synthetics, Forbo Siegling have developed a product range for the special requirements of the nonwoven & clothing industry. Printing quality is paramount. Which is why Forbo Siegling has developed two new printing blankets that set standards in rotary, flat-bed and digital printing. They have polyester tension members and produce even more accurate printing results. The Print 6646-2.15E is single-ply and has a low-noise underside. This characteristic is particularly important for high speed operation during flat-bed printing. Because of the typical start-stop process during flat-bed printing, belts without enhanced undersides frequently cause irritating noise. With its special fabric design and low surface weight, the belt is also kind to key elements of the machine, such as the magnetic bar cover. It also ensures longer service lives and cuts energy and maintenance costs as a result. The two-ply PRINT 6736-2.65E was developed for rotary printers based on this innovative high-tech fabric design. In this case, advantages such as reliable, low-noise belt tracking also really bear fruit. PRINT 6736-2.65E combines robustness with extreme repeat accuracy. The belt’s thickness and pitch line precision mean that it is easy to retrofit on existing rotary printers. Web-laying belts have key functions to fulfil in the manufacture of needle felts. Forbo Siegling is facing up to this challenge and introducing two new web-laying belts at ITM. With its low-friction coating, the NP 6553 glides even more easily and gently through the non-woven fabric. The look of the product when processing the finest of fibres shows a significant improvement. The belt is highly conductive and therefore functions perfectly without any electrostatic build-up. In relation to the belt’s weight, it is also very laterally stiff. This dramatically cuts the risk of creases forming. The second innovation in the manufacture of nonwovens is the extremely light, two-ply web-laying belt NP 6711 with a low-drag, finely patterned belt surface. The lightweight design ensures especially quiet tracking, particularly when the widths laid are wide. The typical pounding the belt makes is usually avoided. Good release properties are another excellent feature. The machinery can be operated even faster and more effectively and wears out much slower. The new generation of particularly lightweight, modular heating presses complements the range of Forbo Siegling innovations for nonwoven production. Since their launch, power transmission and tangential belts of the Siegling Extremultus A and E lines have proved to be very efficient and durable. The belts have thermoplastic aramide and polyester tension members. Forbo Siegling engineers gave them a tougher black coating and stronger tension members. This combination ensures longer service lives and produces better internal stability of the belts. The consistent friction coefficient in tangential belts also produces more consistent spindle revolutions. The tangential belts have particularly strong edges and they operate extremely reliably. The result : even after a long usage period, the quality of the yarn stays at a constantly high level. Forbo Siegling’s new rotor belts for OE machines are new benchmarks in rotary power transmission technology. The tangential belts, calibrated on both sides, have highly abrasion-resistant coatings that ensure consistent friction coefficients over their entire service lives. The Siegling Extremultus rotor belts also have a thickness tolerance of just 0.02 mm. Consequently, there is less stress on sensitive components like the rotor bearings and better yarn quality with fewer piecings is guaranteed. The rotor belt can be supplied up to 150 metres in length. 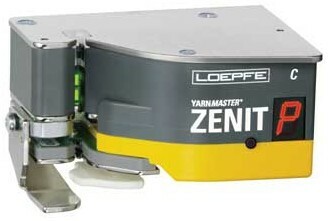 Loepfe producing electronic yarn cleaners working optically for bobbin machines for over 50 years performs ground breaking innovations in their field introduced its New P2 Sensor Zenit at ITM Texpo Eurasia 2012. Loepfe producing electronic yarn cleaners working optically for bobbin machines for over 50 years performs ground breaking innovations in their field. Loepfe producing the first colour foreign substance cleaning system in the world in 1991, for cleaning the contaminations on yarn, and the first and only polypropylene sensor in the world in 2003, presented the new generation P2 sensors at ITMA 2011. The company manufactures the products using the most advanced technological opportunities, in Switzerland and makes no concessions on quality. They provide quality and economic service with specialized local teams, on sales, and after-sales service, spare parts and training, and show their difference. Thus, it is aimed that the companies achieve realistic quality values with maximum efficiency, through the applications performed in companies. Market conditions are rapidly changing all over the world and the quality level is rising continuously. The expectations about the yarn quality, the main element of a quality fabric, are rapidly growing. Thanks to the long experience and technology, Loepfe provides precise solutions for customers’ needs on quality, with Yarn Master® cleaners. They offer real and rational solutions on bobbin machines with Yarn Master® Zenit C and on Open End machines with Master® 3N1 and 1N1. The sensor working according to the triboelectric measurement principle, measures the static charge on yarn caused by different materials, successfully determines and cleans the unseen synthetic foreign substances. Loepfe Brothers showcased its new online quality control system YarnMaster Zenit with the new optimized triboelectric P2 sensor, which further improves the system’s precision in yarn clearing by optimized measuring algorithms and very fast signal processing. Based on the optical and triboelectric measuring methods, the YarnMaster Zenit yarn clearer is very flexible with respect to yarn types and materials and covers the complete yarn count range with only one sensing head. Even fancy yarns are cleared efficiently using simple clearer settings. Thanks to optimized yarn path of the Zenit sensing head, there are very few abrasive effects on the yarn even when the winding speed is high. The 7-segment display built into the sensing head informs already at the spindle of the occurrences. Loepfe has upgraded the original P sensor to the P2 sensor with the latest technology in order to ensure the efficient clearing of cotton yarns and blendings. The benefits of P2 are : better quality of end products and thus better prices; lower raw material waste: better utilization of resources: as well as an increase in efficiency of downstream processes and accompanying cost savings. With the P2 Sensor developed as a result of researches and experience of long years, the “polypropylene” problem leading significant difficulties for enterprises particularly in recent years is eliminated. The cleaning performance has increased substantially, with the improved sensor. The system final operating tests of which have been carried out in our country since March 2011, yielded surprisingly good results. To obtain realistic results, all trials of the system have been performed with domestic and imported cottons with high contamination rate, by considering the market conditions. In this way, even minor errors in yarn are no longer a problem. The possibility of installing P2 sensors to older Zenit and Zenit B cleaners, as well as current Zenit C series, ensures that the enterprises having old machines can benefit from this innovation. With YarnMaster® 3N1, besides reliable quality control, colour foreign fiber and polypropylene cleaning is available in open end machines. 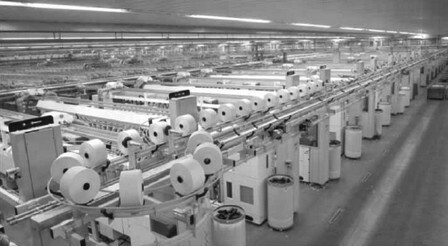 The current system is the subsequent of the yarn cleaners developed by Loepfe and sold more than 2 millions all over the world since 1980’s. Producing the first cleaner with colour selector in the world in 1991, the company proved and improved this success. The colour of the yarn lightened with total 8 colour leds, is defined as the reference of the system. Thus, all contaminations different from the yarn’s colour become easily visible. Colour foreign fiber separation can be used in natural, synthetic, white and colour yarns. The system proved itself for years in cotton brings significant innovations especially for colour-dyed yarn producers. Thanks to the sensor technology used, differences are not seen in cutting with different machine winding speeds. 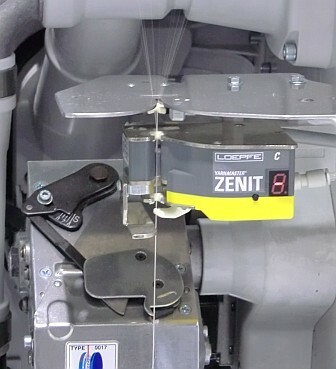 Equipped with universal optical measurement sensors, Zenit C series can control all staple yarns with the same measurement head in a wide range of Ne 4 – Ne 320. Moreover, natural or synthetic, raw or dyed yarns, different tying methods can be controlled with the same measurement head. Thus the enterprises’ need of choosing different inspection heads for different yarns is eliminated. The only thing the en- terprises should do is to choose the system with the function for the desired quality. Thanks to the modular structure, additional functions can be added to Zenit cleaners later. In addition, with the function of cleaning according to classes, cleaning can be performed in fantasy/shantung yarns. While LZE III central units works properly under difficult conditions with their robust structure, more detailed information provided about the yarn facilitates the work of the users. In addition to the quality value inputs inserted simply and clearly on the colour touch screen, limits can easily be adjusted with detailed quality reports. The information type that can be selected with a single key facilitates making comparison by providing shift reports. Via the screens on the inspection heads, the status of the yarn and the reasons of cutting can easily be followed without going to the central unit. With the detailed classification information provided to the users, even minor disorders on yarn body are shown to users, thus to decide the limits becomes easier. samples of which are taken with improved test methods are examined and the real cleaning value is easily reached. The point here is that yarn cleaning values vary according to the customers’ expectations that are much more important than batch, machine, air conditioner, knitting/weaving report. While an enterprise narrows down the limits and makes cutting over normal amounts in a problematic lot, another may open the limits and chose to decrease cutting. The important thing is sufficient data and right application. The increasing need for quality especially in compact yarns is no longer a problem with the smart technologies used by Loepfe cleaners. Plugged drums, damaged sleeves, aprons, flies. Disordered yarns produced by a few problematic spindles, among thousands of spindles making production, are produced cause problems in the whole product. They cannot be detected with the laboratory tests made through sampling method. With Lab Pack option, both yarn hairiness can be followed on line and hairiness values, IPI values, bad cops are blocked by measuring SFI/D (Yarn Surface Index) and VCV (Variable CV). 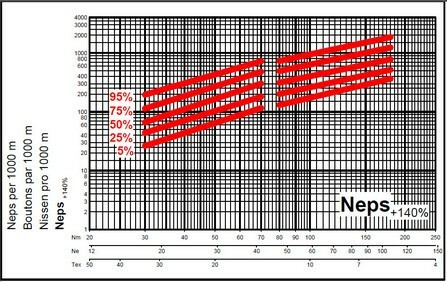 With Standard Cluster channels, if the amount of yarn errors determined becomes dense, yarns can be cut, or if necessary, blocked. The point making difference is to be able to flexibly ( 1-9999) choose the frequency of the density mentioned and to hinder the periodic error repetitions. Of course, simultaneously using five different cluster adjustments for different needs provides significant flexibility. (short thick, long thick, thin, F dark, F light). In this way, problems emerging from ring, rib or traction can easily be prevented. Such kind of cops can be distinguished even from shantung yarns. While disordered numbers and twisting errors are eliminated with number channel, 1m yarn disorders that may be irritating on fabric with short number channel can be removed. Short failure rate and reparability of Loepfe electronic cleaners provide significant saving for enterprises in long term. Calibration is not applied to Zenit cleaners thanks to the auto-adjustment feature. 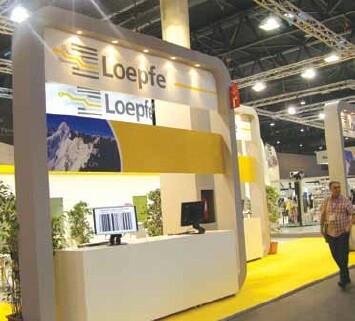 Maintenance of all Loepfe electronic cleaners are performed in authorized services.